A business sales agreement is a legal tool to transfer a business from one person to another. It is an effective way the owner of a business can sell it to a specific person for a specific price. The agreement covers every aspect of the sale and the transition between owners. As a business owner looking to hand over your business, a business sales agreement can be the easiest way to handle the sale. Perhaps selling your business was one of your smart goals that you established. You can easily put together such an agreement by following a few straightforward steps. Here are the steps to writing a business sales agreement for a smooth transaction. As you put together the agreement, turn to a lawyer to draft it. Even if your buyer has offered to have their lawyer write it, you should have your lawyer review it. This document will include detailed legal language. Your lawyer will ensure that the agreement does what you intend it to do. While many websites offer free and easy to use templates, do not try these. A business sales agreement needs to be tailored to your situation. There is no better way to create a solid agreement then to have a lawyer do it. To write the agreement, you need to identify your specific buyer. In effect, you will name your successor as the head of the company. This is the benefit of a business sales agreement. It ensures that only one identified person or persons can by the business. In order to do this, you need to be specific in identifying this seller. Not only include their full name, but their address, phone number, and any other identifying information. This information will guarantee the person you want buys your company. The agreement will also include everything in the business you are selling. This will include a list of all assets that are included in your business. Each of these assets will be individually priced as part of the list. Additionally, this section should also include any liabilities or debts that are also transferring as part of the sale. Finances are tough as a business owner, which is why you should consider bill consolidation. This more financially based section will be needed to determine a final valuation of the company. It also ensures that there is a master list of everything included in the sale so there is no confusion later. You can also include other clauses into the agreement. Keep in mind what the person who is going to buy a business is looking for. These clauses will require the seller to do certain things to keep the agreement valid. You should use these clauses to ensure the seller holds on to parts of the business you feel strongly about. You can also use these clauses to enforce a confidentiality clause or other legal clauses. These sections should be written by your lawyer, even if your buyer’s lawyer writes the rest of the document. This will ensure these clauses are binding. The final section of the business sales agreement should establish a closing day for the agreement. On this closing day the buyer will pay the full amount due and you will turn over the bill of sale. Part of the closing day section will include an adjustment agreement. This will determine how the changes in inventory and inflation affect the final purchase price. This section will ensure that you and your buyer complete everything you need for the purchase in a timely manner. 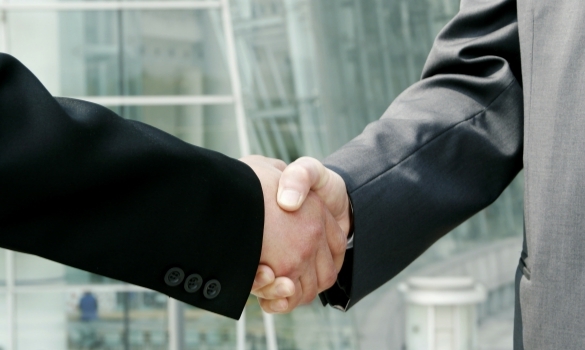 These straightforward steps will let you put together a solid business sales agreement. Hire a lawyer to ensure the wording is correct. Identify your buyer specifically. Create a comprehensive list of all assets and liabilities that make up the business. Write other clauses you wish to have fulfilled before the sale. Establish a closing day for the sale. With these steps complete the agreement is ready to ensure the safe turnover of your business.